Now Hiring - Join the Team - Don't Miss Out! 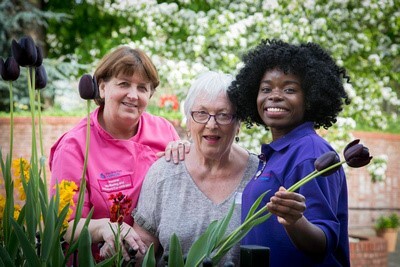 Exciting Job Opportunities at Pendine Park Care Organisation. Pendine Park are looking for passionate, kind hearted and positive people to join our teams across North East & North West Wales. 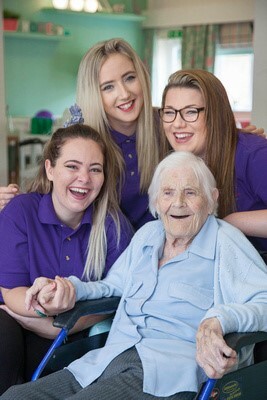 Established in 1985, we have a clear purpose of enriching the quality of lives and well-being of our residents and developing of highly skilled, motivated and friendly staff. Hours: Flexible Full or Part Time contracts available over day or night shifts. Brief Description: To mentor and support the care staff. Act as the Named Nurse and provide a holistic approach to the resident's care. Write and implement care plans following assessment which is robust and accurately reflects the needs of the resident and are reviewed with relatives. Play a full and active role within the Clinical Team and be committed to teaching and facilitating learning of care staff and colleagues. Hours: Flexible Full or Part Time contracts available over day or night shifts, rotated weekends. Brief Description: Must have completed / be working towards level 3 in Health & Social Care Services Diploma and have previous experience within a senior role. To be able to assess and monitor care to individuals with specialised and often complex care needs and liaise with Nurses and other professional. To deliver and supervise care delivery and record accurate care delivery in accordance with care plans. Hours: Full or Part Times Contact, shifts between 8:00am to 5:00pm. Brief Description: Successful candidates will be qualified to Level 3 Diploma in Health & Social Care Services Wales and ideally have First Aid, ROSPA and care sector specific training experience. You will need to deliver engaging, participative and creative sessions and assist with updating training documentation as required. Hold a Full Clean Driving Licence. Brief Description: Assist residents with personal care, mobility and assisting with meals according to Care Plans. Support and encourage our resident to pursue interests, activities and hobbies and help develop all social, emotional and spiritual needs. Hours: Up to 30 hours per week. The shift patterns are 8am-2pm, 10am-4pm, 1:30pm-7:30pm and rotated weekends. Brief Description: To help cater for all clients so that they receive a well-balanced diet at every meal and any special diets. To cook varied and interesting meals on the daily menus. To serve meals where appropriate and provide clients with adequate portions at each meal and that food is at the appropriate temperature when presented. To ensure all catering areas are clean and tidy, floors swept, food covered, items stored correctly after use, at the end of every day. Brief Description: Multiple aspect of sales ledger and processing. Purchase invoice and payment runs (some aspects of entering invoice). Assisting with month and year end processes (especially nominal). Bank Reconciliation. Prepare and input monthly journals including calculating accruals and payments. To work as a key part of our team and help to improve productivity, quality and accuracy within the department. Brief Description: Provide 1st & 2nd line IT Support to internal customers. Troubleshoot basic IT Hardware and Software issues and contribute to solving more complex business challenges in IT. Ensure full compliance with all our IT and business processes. Take a pro-active approach to understand the challenges the IT support team face, helping them to deliver and continually improve the service all round. Hours: 18 hours per week contracts. The shift patterns are 8am-2pm, 10am-4pm, 1pm-7pm and rotated weekends. Brief Description: Cleaning communal lounges. Ensuring resident rooms are desirable. Working to strict colour coding wash bags. Dealing with COSHH and Infection control. 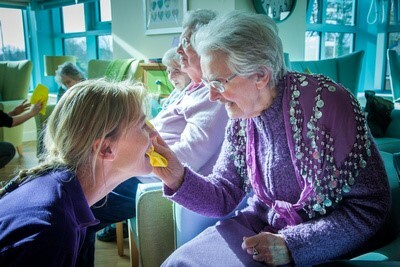 Providing extra support to the care team in busy periods. Responding to accidents or spills efficiently. Working to deadlines to ensure the unit meets cleanliness standards. To find out more or to apply please call our Recruitment Team 01978 315207, email: recruitment@pendinepark.com or complete an application form.